Thank you so much to those who have been supporting us all this while and we hope that you'll continue to do so! Diameter of flower: approx 20 mm. 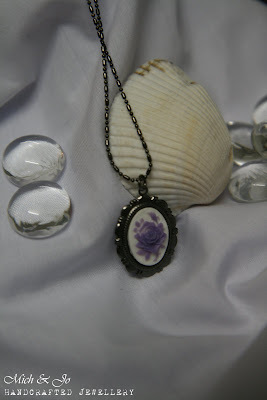 Vintage-like lavender rose cameo with gunmental findings. 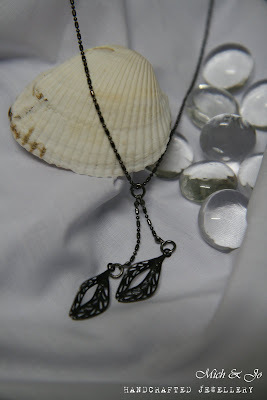 A funky necklace for casual wear. 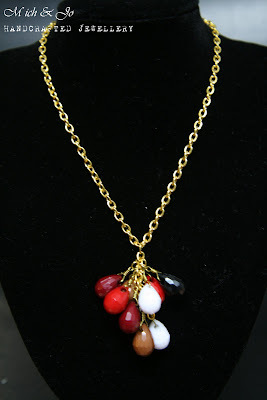 Gold-plated chain with a mixture of black, white, brown, red & maroon acrylic beads. Length is 29". If you need it to be shorter or longer, please leave a comment in the order form. 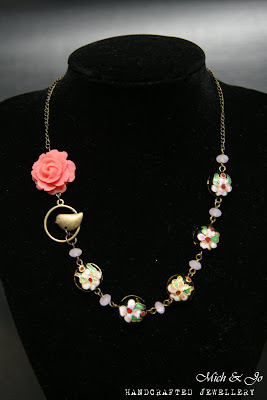 A sweet pink resin rose with pink glass beads, black cloisonne beads with flower motif and a cute little bird. Findings are brass. Length is 21". 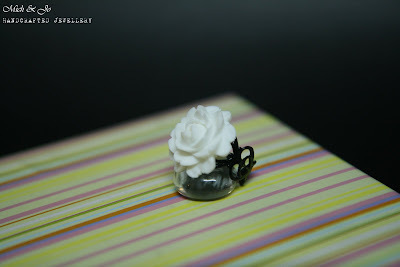 If you need it to be shorter or longer, please leave a comment in the order form. 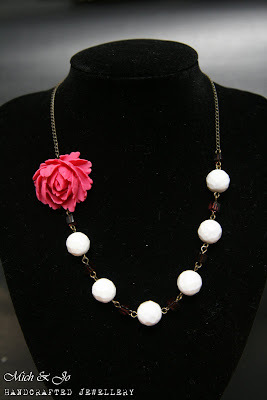 Another floral inspiration...Pink resin rose with howlith stones and purple square glass beads. Findings are brass. Length is 21". If you need it to be shorter, please leave a comment in the order form.